Richard Parker is the founder of Diomo Corporation - The Business Buyer Resource Center™ and author of the How To Buy A Good Business At A Great Price© series. Richard has purchased thirteen of his own businesses and has been an advisor and broker to small business buyers and sellers for over 25 years. 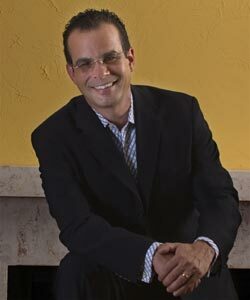 He has written and been featured in more than 300 articles on the subject of buying businesses in The New York Times, Entrepreneur Magazine, The Street.com. He is also a weekly contributor to Forbes Magazine. Richard was recently nominated for Inc. Magazine's 'Entrepreneur of the Year' award. If you are serious about being self-employed then learn the right way to do it. How To Buy A Good Business At A Great Price© will teach you everything that you need to know and our Personal Consulting Program will guide you at every step.